Something clean and simple for you today using the Butterfly Gala Bundle. I created a sponged background but cutting out a square from a scrap piece of photocopy paper and sponged the centre of the die cut using two ink pads. It does start out looking pretty awful. The ink looks blotchy but if you continue to blend the ink you start to get a nicely blended inked shape. You can use any shape die cut you have or use several on a card front for a different look. I used Mint Macaroon, Soft Seafoam and Pear Pizzazz. The colours look different if they are blended over other colours so just experiment and build up a colour you like. I kept the lighter shade in the centre and went darker around the outside of the die cut. You can use a sponge or a dauber but do not place your sponge or dauber directly onto the card front, position it off on the photocopy paper and move the sponge in a circular motion onto the card. Don’t press too hard or you could tear of lift the edge of the mask. I just love the font of the greetings in the Butterfly Gala stamp set. It is such a useful set and if you purchase the bundle you get the lovely Butterfly Duet Punch but **BE WARNED** the punch is not currently available to order on its own as we have sold out and due to manufacture and shipping delays we will not be able to replenish the stock till the end of March/beginning of April. At the time of writing this blog post the bundle which includes the punch is still available but on limited inventory so will soon sell out. 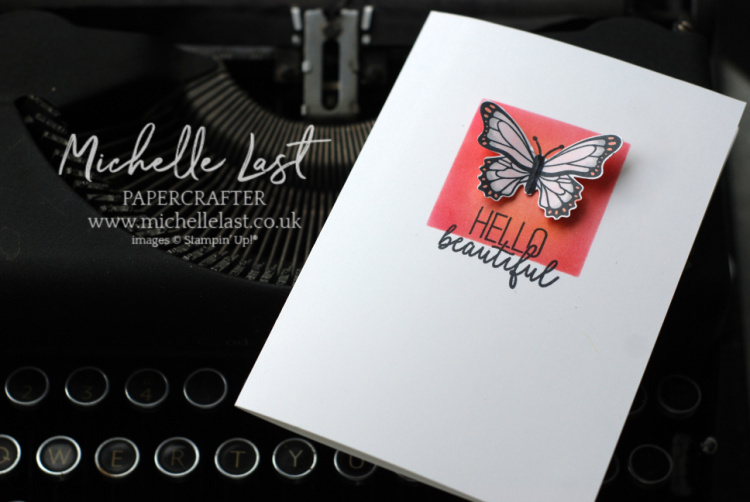 You will then only be able to purchase the stamp set and will need to fussy cut the butterfly for now until more stock arrives. 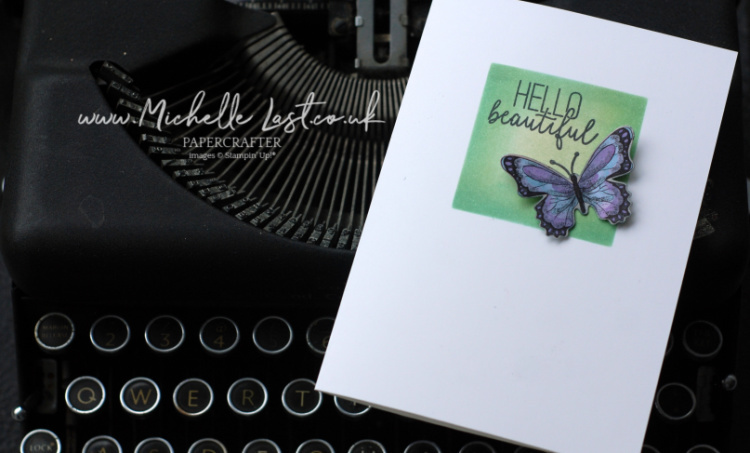 Good news is that the Butterfly Duet Punch is carrying over into the new catalogue so you will be able to get your hands on it with coordinating products. I could not decide which one is my favourite. Which one do you prefer? I like how the Hello Beautiful greeting overlaps the masked square. I coloured both the butterflies with Stampin’ Blends but you could use marker, watercolour pencils or anything you have at home. The ink I used to mask the square is Melon Mambo & Calypso Coral on the second card. 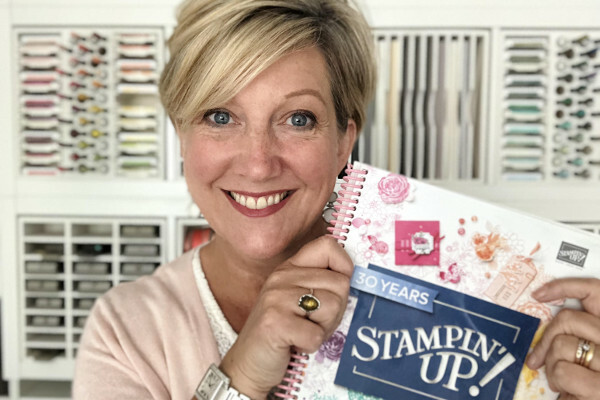 If you wish to order any of the products I have used to make this card or any other products available from Stampin’ Up! please visit my online shop to place an order. For every £45 you spend you can choose a FREE item until the end of March. If ordering online, please enter the monthly hostess code to receive a thank you card/gift from me. Click any of the images below to go to my online shop to place an order. Please get in touch if I can help.